Albert King was born on April 25, 1923 (“Under a Bad Sign” of course!) and world have turned 88 today. Oh how I wish Albert was still with us! 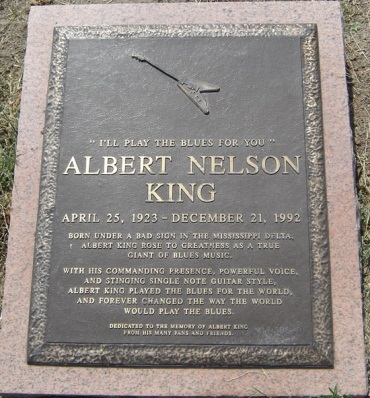 Albert was known as one of the “Three Kings of the Blues Guitar”, along with B. B. King and Freddie King. He was a large man, 6′ 4″, 250 lbs, with incredibly large hands that were perfect for playing the guitar. Like so many other blues guitar players, Albert began singing with a family gospel group at a church when he was just a young boy. He was influenced by blues musicians Blind Lemon Jefferson and Lonnie Johnson. King was a left-handed “upside-down/backwards” guitarist meaning that while he was left-handed, he usually played right-handed guitars flipped over upside-down so the low E string was on the bottom. 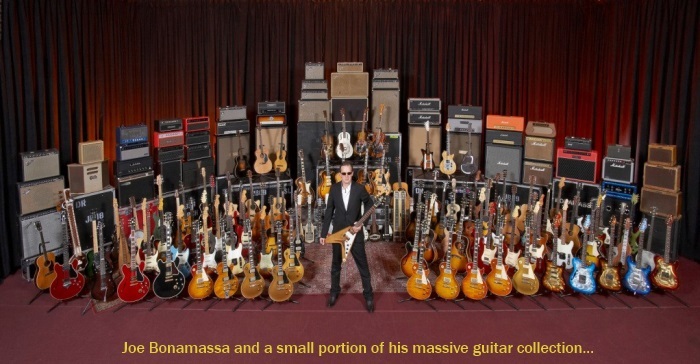 The electric guitar (specifically the Gibson Flying V, which he named “Lucy”) was his signature instrument. In later years he played a custom-made Flying V that was basically left-handed, but had the strings reversed. He also used very unorthodox tunings, often tuning as low as C — to allow him to make massive string bends. This video is from a LIVE recording in the mid-1980’s titled “Blues Legends: Albert King, Live in Sweden” and the DVD can still found on eBay…usually under $10 bucks. If you love the blues, you should buy one of these while you can. What I LOVE about this clip is the interview and the open and candid answers that Albert gave. For a big man, he had an even bigger heart. He loved his fans and he loved the blues. His music lives on in me — which is the purest way to measure one’s impact on people’s lives. I miss you Albert – Happy Birthday! 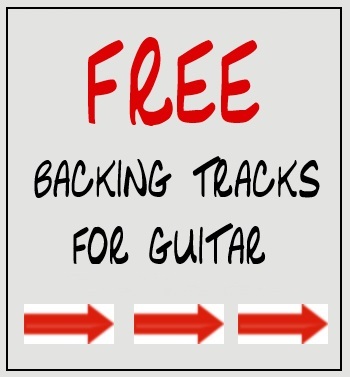 One more thing… You can download a BACKING TRACK to Albert King’s “Born Under A Bad Sign” by CLICKING HERE. The world lost one of the all-time great bluesmen 18 years ago today on December 21, 1992. He was born on April 25, 1923, and yes…it was “Under a Bad Sign”! Albert was a large man, 6′ 4″, 250 lbs, with incredibly large hands that were perfect for playing the guitar. King was a left-handed “upside-down/backwards” guitarist meaning that while he was left-handed, he usually played right-handed guitars flipped over upside-down so the low E string was on the bottom. The electric guitar (specifically the Gibson Flying V, which he named “Lucy”) was his signature instrument. In later years he played a custom-made Flying V that was basically left-handed, but had the strings reversed. He also used very unorthodox tunings, often tuning as low as C — to allow him to make massive string bends. On December 6, 1983, Albert King joined Stevie Ray Vaughan on a Canadian sound stage for the live music television series In Session. What happened was total magic. King and Vaughan would never share a stage together again. Vaughan, 31 years King’s junior, died in a helicopter crash on the way back from a concert in 1990. King outlived him by two years, dying of a heart attack in 1992. They didn’t meet often, and their careers took different paths. But we can all be grateful for that one long day in a television studio when sparks flew and this timeless performance was forever captured. Download a FREE BACKING TRACK to King’s “Born Under A Bad Sign”.